Logins this hour: 9715 ? The Amion desktop scheduler, OnCall, runs under Windows 7, 8, Vista, XP, NT and Windows 10. OnCall can run on Macs using Winebottler. You can also use a Windows emulator such as Parallels Desktop and VMware Fusion. 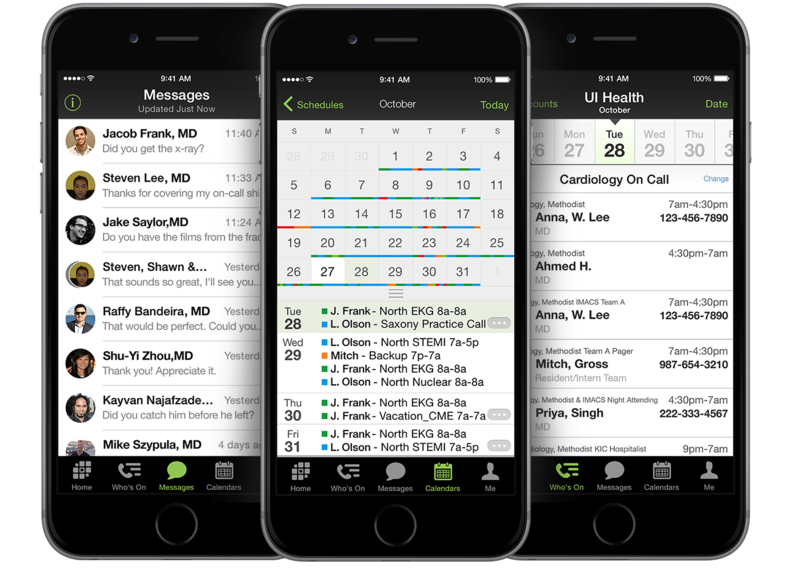 Or access OnCall remotely by using subscription sites such as GoToMyPC.com. You can install the scheduler on a Network or run it under a Citrix environment. Online features such as viewing schedules, submitting work requests, online editing, and swaps, and sending personal schedules to a PDA work with internet browsers on any platform.